Polycom video conferencing devices enable HD face-to-face communications with people across any distance with Polycom's incredible audio quality. 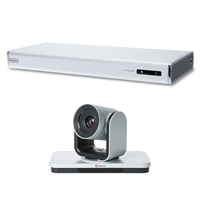 They build solutions for every size of deployment, from desktops and huddle rooms, to conference rooms or even full video conferencing auditoriums. 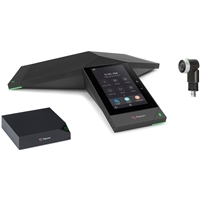 Polycom Studio is an exceptional huddle room solution: a USB video bar that offers plug-and-play performance, 4k video, active speaker tracking, automatic group framing, and more. 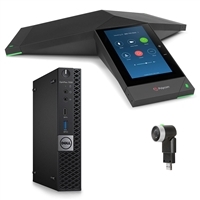 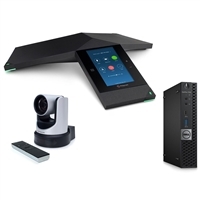 Polycom Trio is a class-leading IP conference phone with incredible audio that, when used with Visual+ or VisualPro, give you HD video and content sharing control. 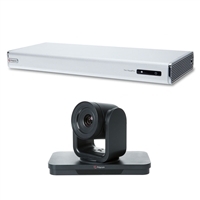 Polycom Group Series provides enterprise video conferencing in the conference room. 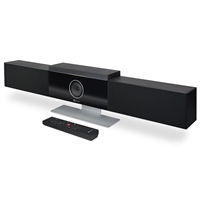 Polycom SoundStructure gives you the best installed audio solution for video conferencing on the market today. 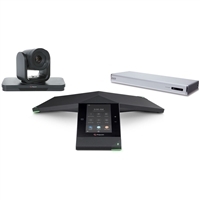 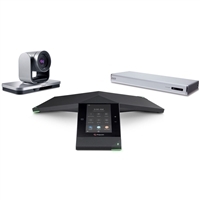 IP Phone Warehouse is an authorized online reseller of Polycom video conferencing equipment.